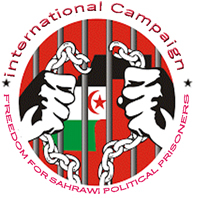 Montreal, August 14, 2016 (SPS) - The International Alliance of Women has reaffirmed its support and solidarity with the struggle and resistance of the Saharawi women for freedom and independence. At a workshop held under the theme "Women's resistance during wars and armed struggles" in the World Social Forum held in Montreal, member of the International Alliance of Women, Ms. Rita Acosta, stressed that all freedom-loving women must support the Saharawi women in their struggle for freedom and independence. "Colonialism is one. And all the oppressed women in Western Sahara, Palestine, Kurdistan, Philippines and Canada or other countries share the same oppression and suffering," said Rita Acosta, calling on women to unite their efforts for peace, justice and a better world. For her part, Secretary General of the National Union of Sahrawi Women (NUSW), Fatma El Mehdi, spoke about the recent developments in the Western Sahara issue and the serious violations of human rights perpetrated by the Moroccan occupation authorities against the Saharawi civilians in the occupied territories, including the Saharawi women. She also addressed the resistance of the Saharawi people, the role of vanguard played by Saharawi women in the refugee camps and the occupied territories and its struggle against the Moroccan policy of intimidation, persecution and deprivation of all fundamental rights. She urged all participants to support the Saharawi women in their struggle against the Moroccan occupation, participate in the international campaign to raise awareness about the Saharawi question throughout the world, demand the release of all Saharawi political prisoners, protection of Saharawi civilians, and end the suffering of the Sahrawi women through the holding of a free, fair and impartial allowing the Saharawi people to exercise their right to self-determination and independence.